This blog post is more of a big brain dump of random things I’ve learned along the way. I hope you find it helpful! First alone flight! Check out the photo bomber in the back. 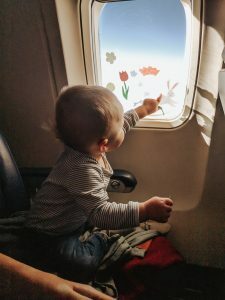 BEFORE WE GET STARTED, I WANTED TO SHARE SOME GENERAL ATTITUDE-RELATED TIPS ABOUT TRAVELING WITH BABIES OR TODDLERS! 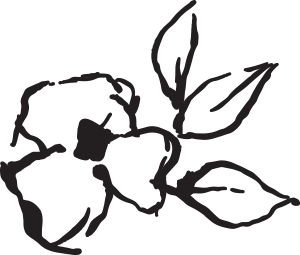 Stay calm — I really do believe children feed off of our attitudes and emotions. Of course, “babies will be babies”, but both babies and toddlers can recognize when their parent is in distress. Often, when I’m stressed/anxious, I noticed Lucy is fussier. Take a few deep breath, remember that the travel day is temporary (I tell myself only X hours or X days or whatever) and do your best to remain as calm as possible. For me, this often means not getting anxious if Lucy cries, not beating myself up for packing the wrong things, not letting a bad 5 minutes (or 5 hour flight) ruin my entire day. Have (very) low expectations — this was something a friend gently reminded me after a few frustrating flights with Lucy. It’s best to go into the flight with low expectations — assume that your child will be fussy, cranky, annoyed, etc. I’m usually a glass half full kind of gal, but in the case, it really helps when I have realistic and LOW expectations for the day. 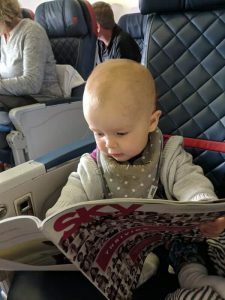 The flight isn’t going to be the most joyful day of your life as a parent. 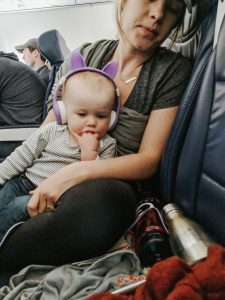 Some days are pure survival mode and when you come to terms with the fact that babies will be babies/toddlers will be toddlers/the day isn’t going to be rainbows and butterflies, you will feel a lot more content with however the travel day turns out. Ask for help — Usually people are willing to help. 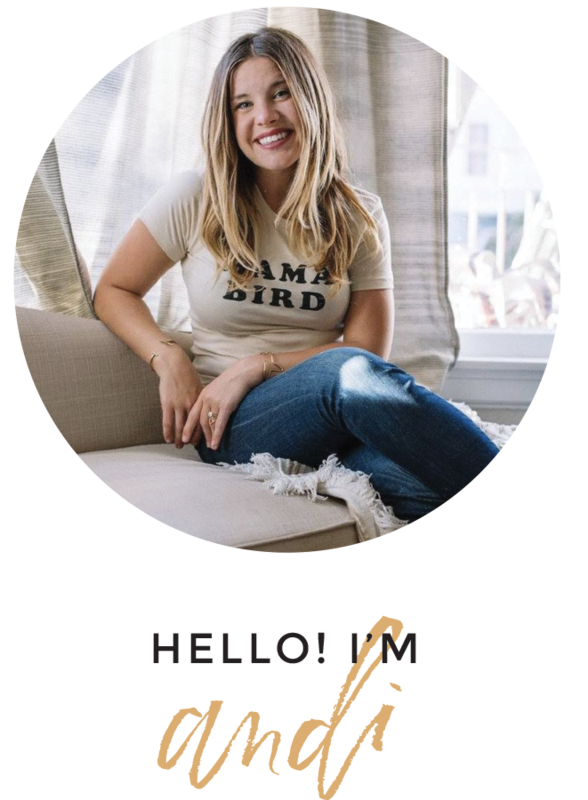 💛Ask a flight attendant to help you getting situated in your seat, ask someone to help you down the jet bridge (especially if you’re traveling alone with your kiddo), ask for help getting your bags above the seat, etc. I’ve found that people are often kinder and more helpful than I would expect. Be flexible — travel days are not the days to be rigid about schedules and routines. I’ve learned to be flexible with when Lucy naps — in fact, I just pray she does at SOME point! 🙏🏼 We also don’t do a lot of screen time, but you can bet that I am veryyyyy flexible on that when we travel, too. You can and should pack strategically and prepare, but even the best plans sometimes don’t work out. Things are OUT OF YOUR CONTROL and it’s best to just go with the flow. Family selfie before Lucy’s first flight! Check carseat at the ticket counter – the pro is that you don’t have to deal with it at the airport. You’ll pick it up at baggage claim (often in ‘oversize cargo’ area). The con is you have to wait for luggage at baggage claim (which I hate doing)– so if I’m not checking other luggage, I often try to NOT do this, and do one of the other two options below. Oh, and it’s no charge to check a carseat. Check carseat at the gate – this is the most common option! You bring the carseat with you through security and go to your gate counter and ask for a gate check tag for the carseat. You will bring your carseat down the jet bridge with you and drop it off at the bottom, before you get on the plane. After the flight, you pick it up in the same spot at your destination. I don’t see a whole lot of cons to this option and typically do this! Ask gate attendant if plane is full and IF NOT, ask if you can bring carseat on plane – it never hurts to ask! This is awesome, especially if your kid sleeps well in their carseat. It’s also FREE if they have space! You’ll have a window seat seat to strap the car seat in. The pro is you don’t have to wait for the carseat after the flight and your kid might sleep on the plane in carseat. The con is that you have another thing to lug onto the plane, but in my opinion, the pros usually outweigh the cons here. Check stroller at the ticket counter – when Lucy was really small, and I was checking the carseat already, I would often also check the stroller. 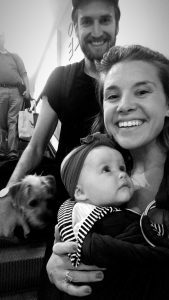 It’s nice to not have another thing to deal with in the airport, especially if your baby is really small and will stay in the baby carrier entire time (more on that below). Check the stroller at the gate – same as the carseat situation. 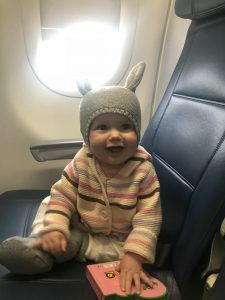 You will bring your stroller through security, go to the gate counter and get gate check tags, and then drop the stroller off at the end of the jet bridge before getting on the plane. One pro to waiting to gate check the stroller is that you can 1) use it to push your child through the airport if they are incredibly slow walkers like most toddlers are and 2) use it to haul all of your stuff (my stroller is basically a pack camel in the airport). 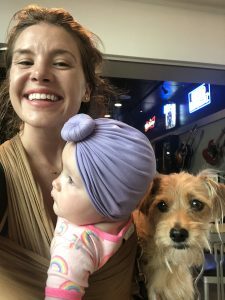 BABY CARRIER – I always always always have a baby carrier when traveling, even now that Lucy is walking! 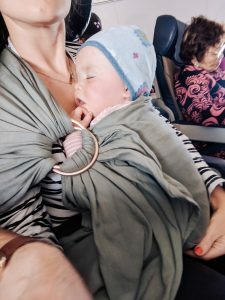 A lot of people use a structured carrier like the Ergo or Lillebaby, but I have only used my Solly baby wrap and Wildbird ring slings. 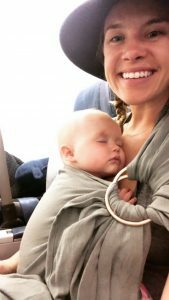 Baby wearing is essential when traveling in my opinion because you can be hands free! 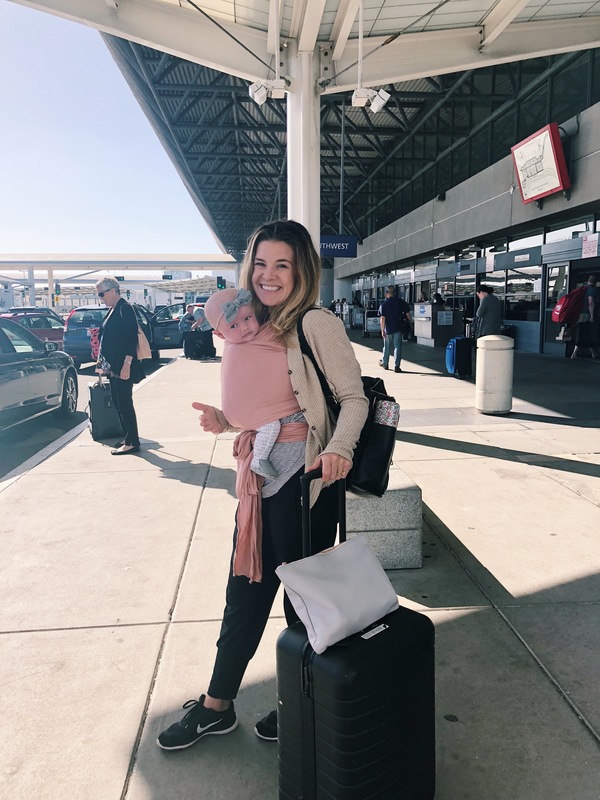 🙌🏼If your baby is teeny and fits in the Solly (or you’re using another carrier like Ergo), you don’t even have to take them off through security – just walk right through! Unfortunately with the ring sling, you do have to take it off because of the metal rings. 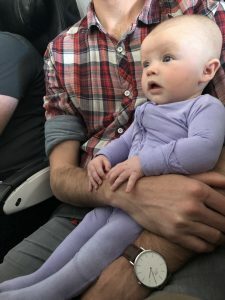 In my opinion, even with bigger babies, having the OPTION to baby wear in the airport and on the plane is great. 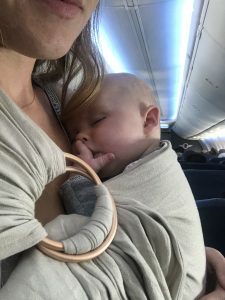 On our last flight (SF to Nashville) 14-month-old Lucy — who doesn’t really like to be wrapped up anymore — fell asleep in the ring sling on the plane! I will often put Lucy in a carrier when boarding / getting off plane so I can get suitcases and other bags. It’s just easy. 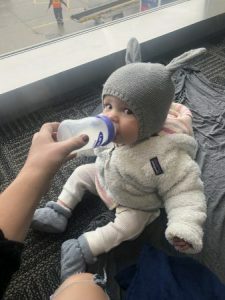 When it comes to getting breastmilk through security, frozen is ideal — they will let you bring it and they don’t have to test the milk. When we moved with ALL OF THE MILK, I had the pumped milk in the small 4oz milk bags and then packed several of those into gallon sized bags to create basically a “breastmilk ice pack.” Then, we had several of those in our Yeti cooler. You can dump the ice in your cooler or bag before security and get more ice AFTER security from a restaurant. It’s never been a problem for me! When it comes non-frozen milk, I’ve found it frustrating that every airport / TSA officer handles it differently. *Most* of the time, I’ve been able to just move along with no testing of the milk or additional screening. Sometimes, they ask to test the milk in which case, MAKE SURE TO ASK THEM TO PUT ON NEW GLOVES. If you don’t feel comfortable with the TSA officer opening the bottle/bag (I would have an issue with it being breastmilk — I’m not as picky when it comes to ‘regular milk’), you can ask for an additional screening. WHAT TO PACK IN DIAPER BAG: I like to use the ToteSavvy organizer in my diaper bag or tote bag to keep Lucy’s stuff organized. 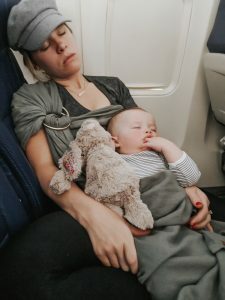 Swaddle wrap or small blanket — I like to use a small blanket as a play area at the airport, for the cold airplane and for tons of reasons (picnics! stroller naps!) when you get to your destination. 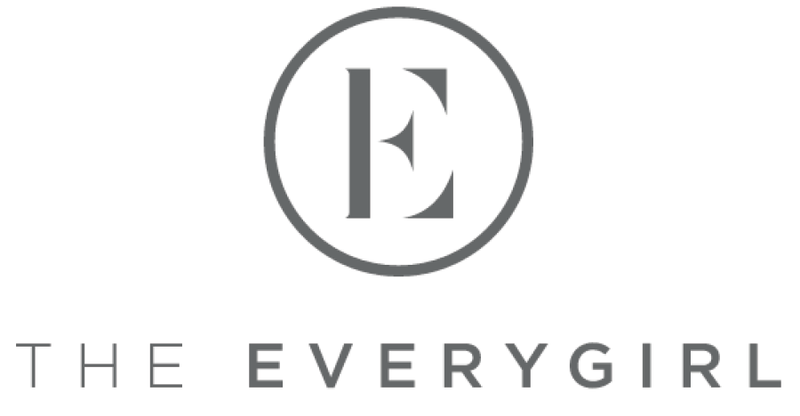 For kiddo – EASY OUTFITS. Flights are not the time for fancy, Instagrammy outfits. Usually I’ll just have Lucy in footed pajamas when we’re traveling. Bring a little jacket and hat as the temperature is often unpredictable and fluctuates! For mama – I always keep my airplane outfits super comfortable — leggings, tshirt, sweater/jacket and sneakers. If you’re breastfeeding, make sure you’re wearing a button down or top that’s easy to nurse in. 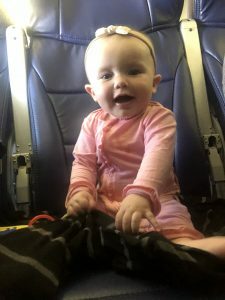 SEATING: I prefer to sit in an aisle seat, because I always have to pee and mostly because when I’m traveling with Lucy I like to have option to walk around. 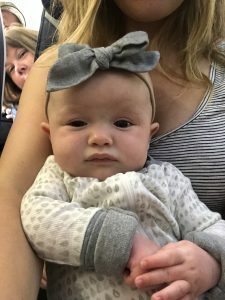 When she was little, I would walk the aisle with her in the baby wrap to get her to sleep (or go bounce in the back of the plane with the kind flight attendants!). Now that Lucy is walking, the aisle is a necessity so she can ‘get her wiggles out’ and walk around. The window seat is nice for 1) breastfeeding privacy and 2) entertaining toddlers with window stickers, looking out the window, etc. but you just have to weigh the pros and cons of each for you, depending on the flight! For me, having access to walk the aisle is crucial when babies are little AND when they are squirmy toddlers! A *very* rare moment of both of us sleeping on the plane! For baby — you shouldn’t need as many toys, because likely the baby will sleep more than a toddler! I would usually bring baby crinkle paper, teething toys (like Sophie the Giraffe), a rattle and other small toys depending on baby’s age. We also used ‘regular things’ like plastic cups, straws, our keys, etc. that would entertain Lucy for a little bit when she was younger. Don’t forget the pacifier(s) if your baby uses one! SNACKS SNACKS SNACKS. You can’t have enough snacks! I packed pouches, puffs, Cheerios, Annies cheddar bunnies, string cheese, you name it. With toddlers, snacks are often the best distraction. Post-it notes — time consuming for kids to pull apart and stick on…everything! Removable window decals — found in Target $1 section. Brilliant 30 minute activity. Plastic cups — just ask from flight attendant! Endless entertainment to stack them, put post-it notes/stickers on them, etc. Painters tape/washi tape — tape onto seat, tray, window, etc. and kid can rip off, put back on, etc. Melissa & Doug Water Wow — this is a small activity pad where kiddos can “color” with a water-filled pen. It’s not messy and super compact win/win. Small stuffed animal or lovie — Lucy loves her bunny, so we brought it in the diaper bag and she loved having it with her! iPad — we don’t usually do any screen time, but when traveling, it’s pure survival mode. 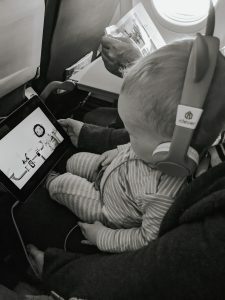 We recently started having shows/kid music videos downloaded on the iPad from Netflix and Amazon for Lucy to watch on the plane. We ordered her these cute, volume-controlled kid headphones too! 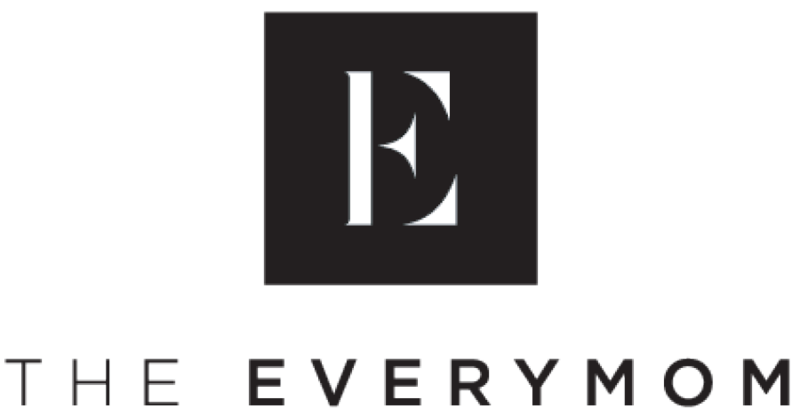 As a reminder, you can shop some of my baby and toddler travel favorites HERE. Saw this link on MSM SF. 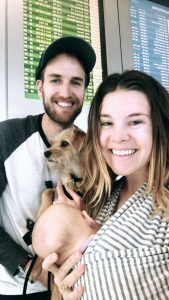 Thanks for the travel post as it is getting me ready for for the first flight with baby! (11 months) Question: what backpack do you use when traveling? Something that is my “purse” but his bag really. Hey Kirsten! I have mostly used my Fawn Design diaper bag backpack, but candidly – don’t think it holds as much as other options out there, so I’m looking for a better solution. Wish I could be more helpful! 🙁 Good luck with your upcoming flight!